Spruce up your home with this absolutely beautiful table lamp. It has an adorable base which contains flowers and two birds. 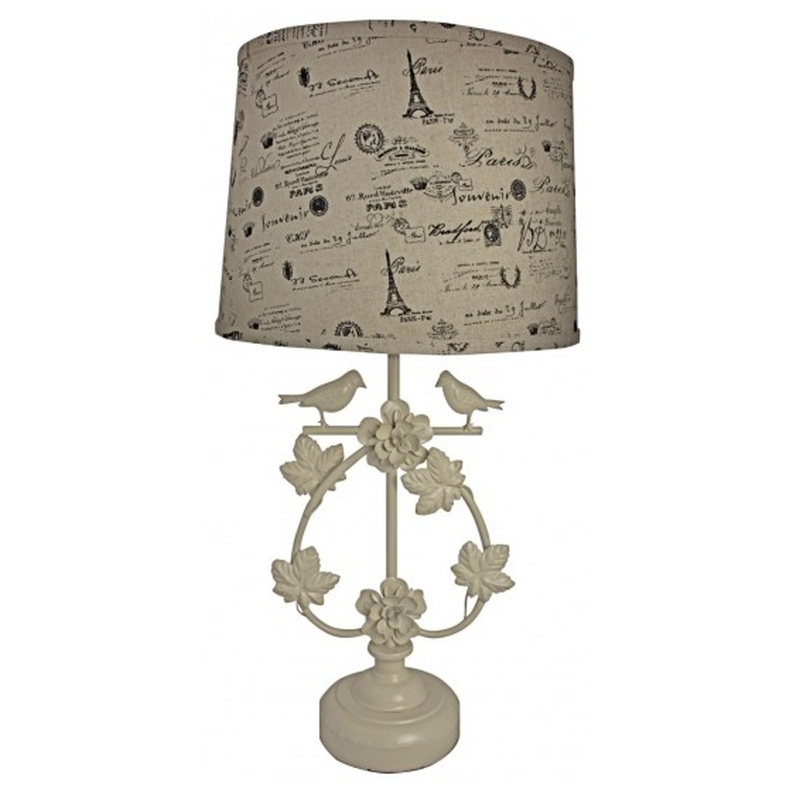 It also has a beautiful lamp shade that contains antique-french style designs. It's sure to be a magnificent, unique item to any home.